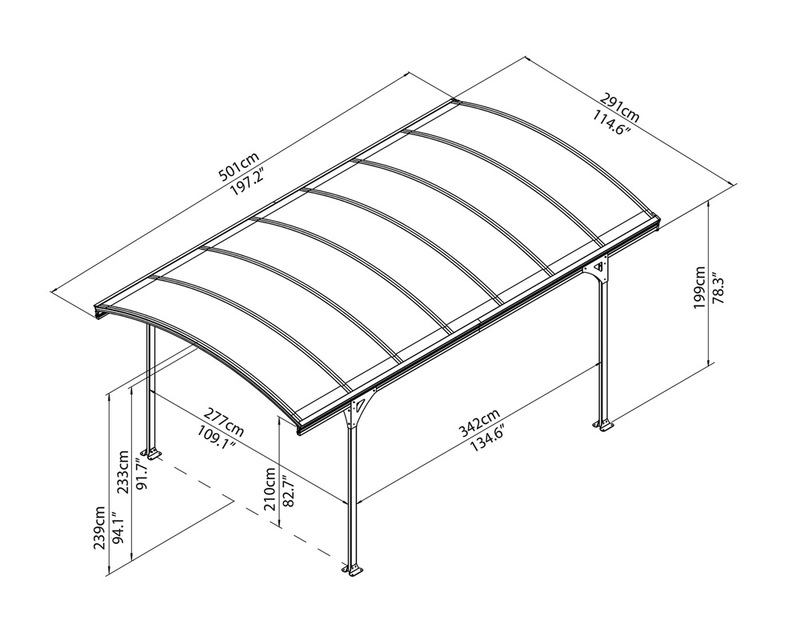 Vitoria Polycarbonate Carport Kit features quality 6mm twin-wall Bronze polycarbonate roofing. 4 legged design constructed in Grey rust resistant, powder coated aluminium frame with galvanized steel connectors. The Vitoria Polycarbonate Carport Kits are a 4 legged free standing structure which provides wide and easy access for your car. They feature 6mm Twin-wall polycarbonate sheets with a grey rust resistant aluminium frame with galvanized steel connectors. Bronze polycarbonate roof sheets give a modern and elegant carport.